Hagerstown, MD – The C&O Canal Trust is pleased to announce the appointment of Robin Zanotti as its new President effective April 6. Zanotti has thirty years of executive leadership experience and specializes in managing capital campaigns and major gift programs. A resident of Martinsburg, West Virginia, she most recently ran her own business, Zanotti Nonprofit Solutions, LLC, where she aided clients with strategy, fundraising, and management. 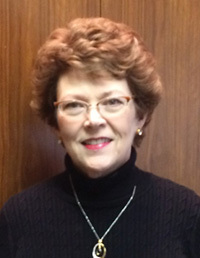 She has also held high-level development positions with West Virginia University Healthcare and Shepherd University in West Virginia, as well as St. Joseph Mercy Oakland Hospital, Capuchin Ministries, and University Liggett School in her native Michigan. An experienced fundraiser, Zanotti is one of approximately 100 individuals internationally to have earned the Advanced Certified Fund Raising Executive (ACFRE) credential. She is also very active with volunteer activities for both community and professional groups. Zanotti is president-elect of the Rotary Club of Martinsburg and serves on the board of directors of the Association of Fundraising Professionals, Tri-State Chapter. She is a member of the current class of Leadership Berkeley, a community leadership development program of the Martinsburg-Berkeley County Chamber of Commerce, and has been actively involved with the United Way of the Eastern Panhandle, CASA of the Eastern Panhandle, and the Girl Scout Council of the Nation’s Capital. The C&O Canal Trust is the official nonprofit partner of the C&O Canal National Historical Park, and a 501(c)(3) charitable organization. For more information about the Trust visit www.canaltrust.org.